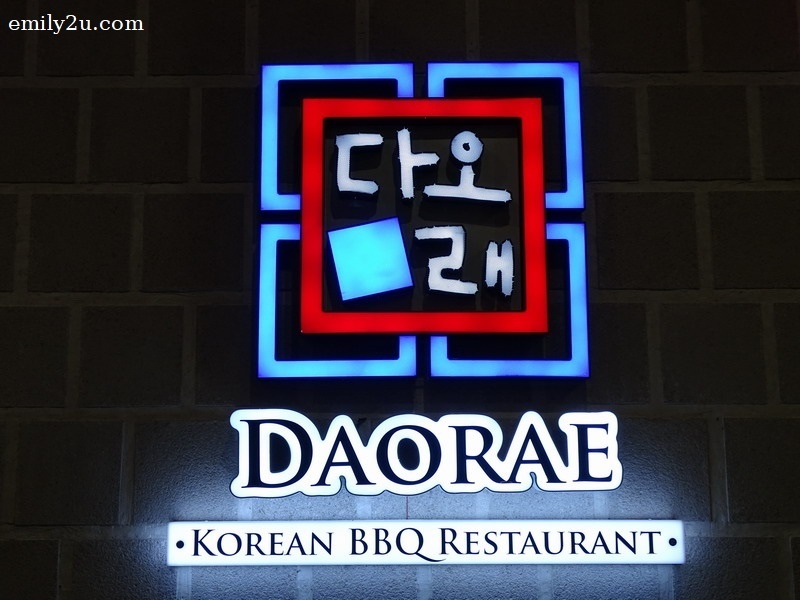 Although I live in Ipoh, Daorae Korean BBQ Restaurant is not such a strange name to me. In fact, Daorae opened its Ipoh outlet some six years ago at De Garden. 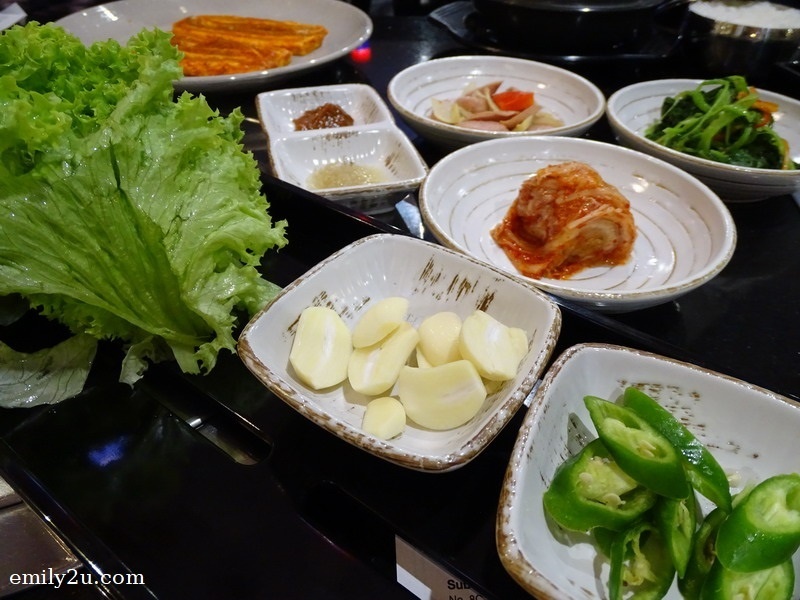 There aren’t that many authentic Korean restaurants in Ipoh, I must say, hence Daorae stood out and was our preferred Korean restaurant when we craved for Korean cuisine. I have to acknowledge that I am not such a big fan of Korean food, compared to Cantonese fare. 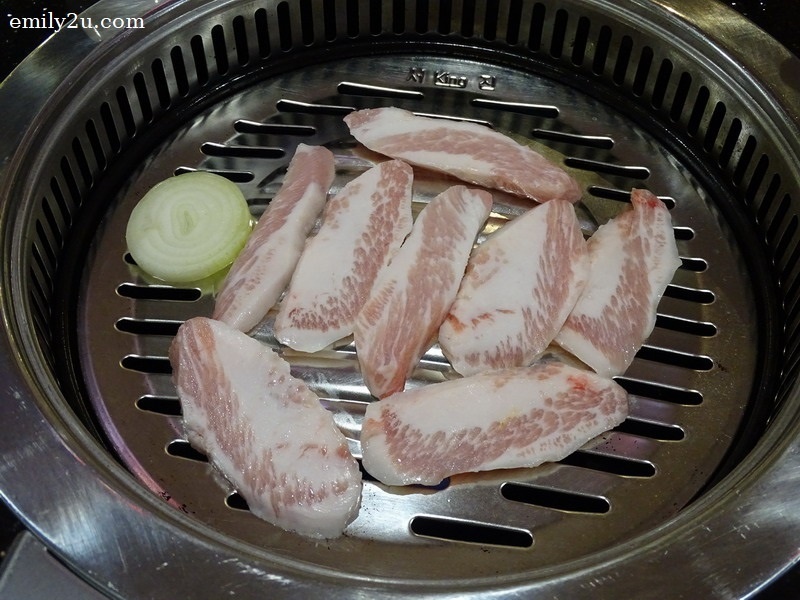 The Koreans are huge on BBQ, and I’m just a lazy person who doesn’t want to cook her own meal. 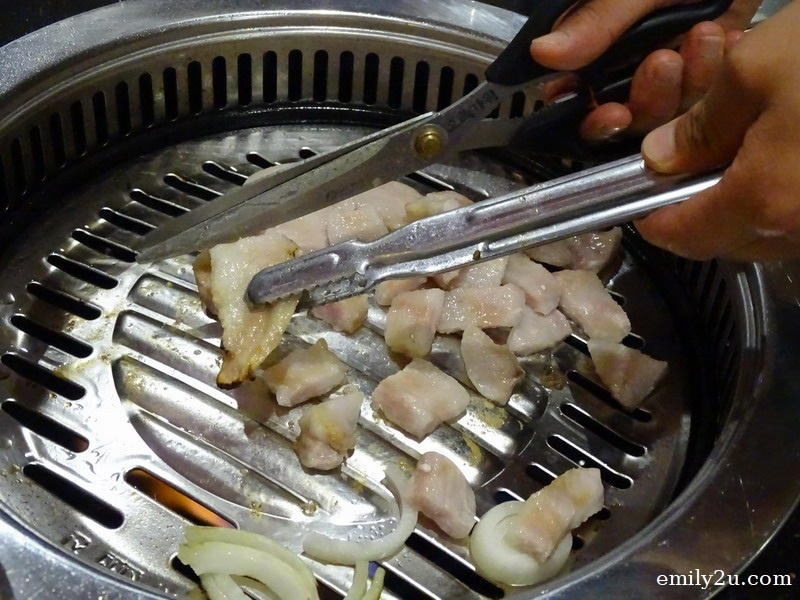 In any case, BBQ was exactly what we savoured at Awana SkyCentral’s Daorae Korean BBQ Restaurant, which started business in mid-October. 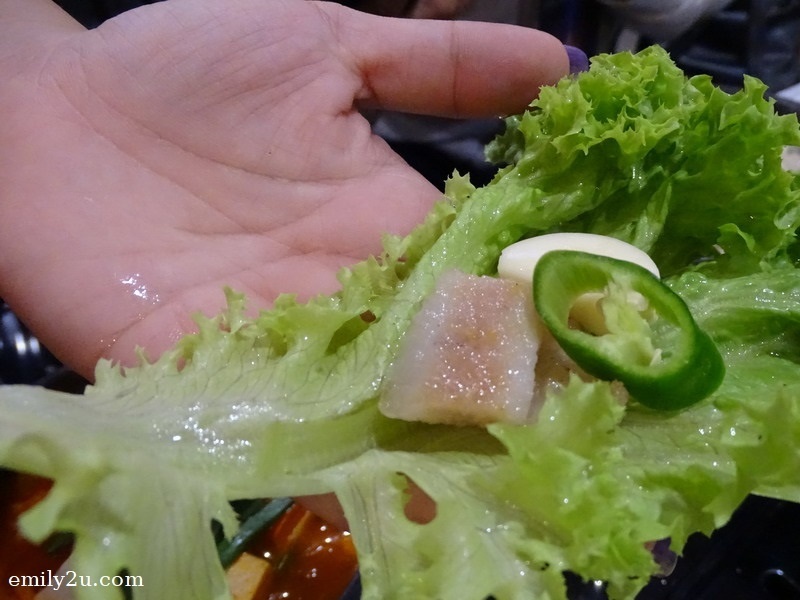 Favourably, servers were on hand to do the grilling and we just wrapped our preferred meat in slices of fresh lettuce. Have a look at what we were served. First into the grilling pan was fresh pig jowls seasoned with sesame oil. 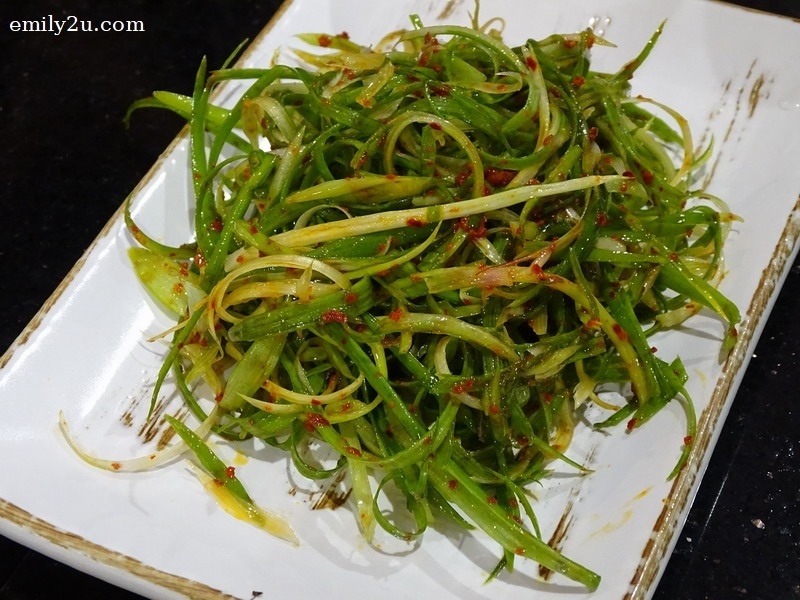 Known in Korean as Hangjung Sal, it was highly recommended by the restaurateur. Next into the grill was Go-Chu-Jang Sam Kyub-Sal, or fresh pork belly marinated with traditional Korean chilli sauce, as you can see in the fiery orangy colour. This was followed by more meat, but this time it was beef, which I had to abstain from. 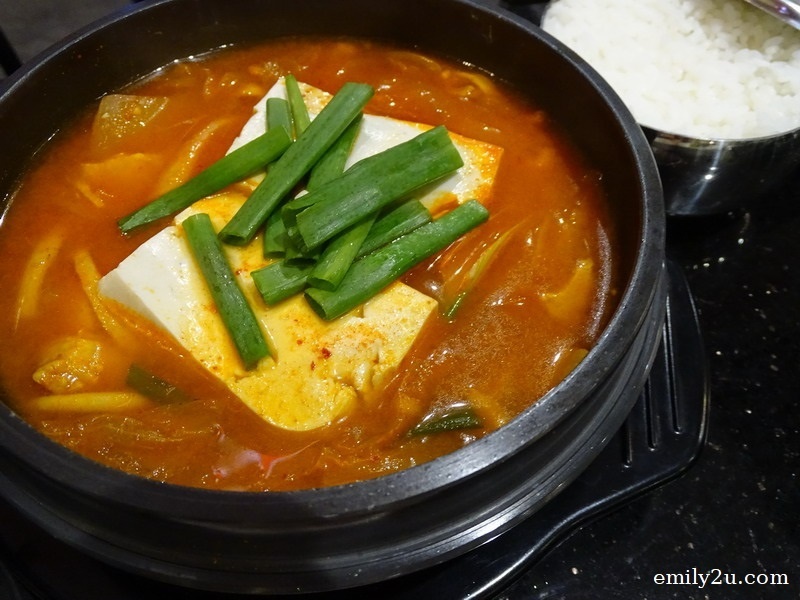 By the way, if you plan to dine at Daorae, whether it is at Awana SkyCentral or other outlets, you would want to heed the recommendation of the restaurateur and order Kimchi-Jjigae, a spicy red stew with a generous portion of home-made kimchi and swimming with fresh seafood. This could certainly help you with your digestion! On the other hand, if you would like a tonic, Sam-Gye-Tang is a good option. 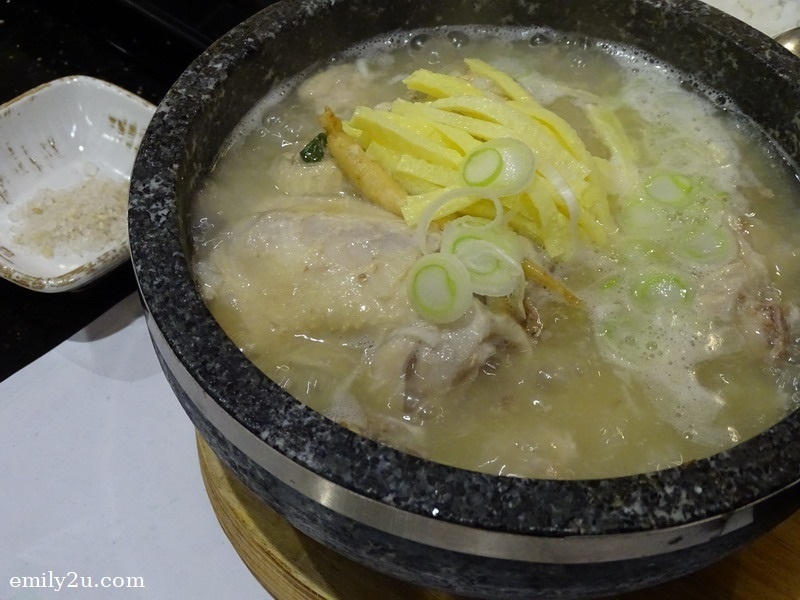 This soup features a whole young chicken stuffed with ginseng. Other ingredients in the bowl are sticky rice, garlic, Korean dates and chestnuts. These are all brewed in clear broth for long hours. Oh yes, did you know that Daorae was listed in the top 300 restaurants in Asia in the 2008/2009 Miele Guide? 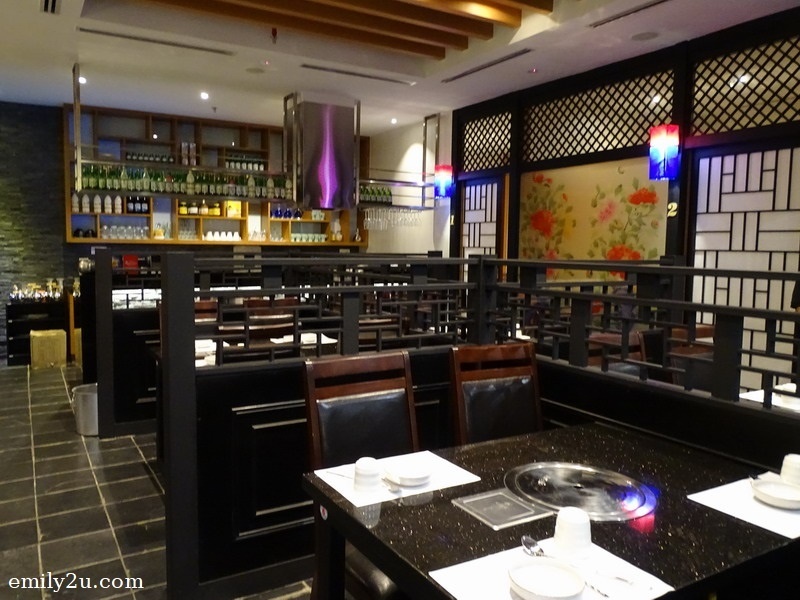 If you are a Daorae customer and have enjoyed its authentic Korean dining experience, you definitely realise how deserving of its recommendation. 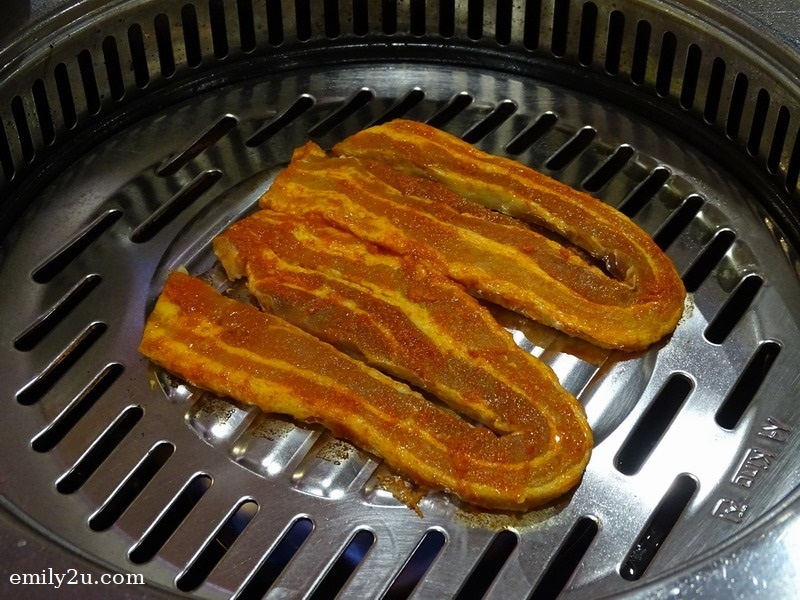 7 Responses for "Daorae Korean BBQ Restaurant, Awana SkyCentral, Resorts World Genting"
I have tried different Korean Food, And those are great.This Korean Restaurant looks like an interesting place to visit, I would love to try the foods there. Wow korean foods are delicious, my favorite! Im craving for some hot spicy kimchi after reading your post, and some korean beef. This remind me of my student days. Had a Korean friend who introduced me to lots of kimchi and Korean dishes. Now I find kimchi yummy. LOL. 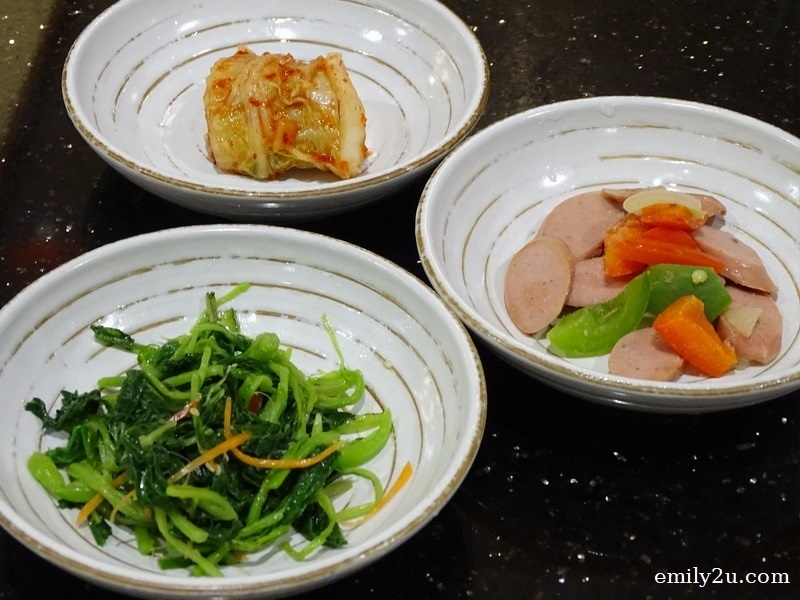 My daughter loves to eat Korean food after our trip to Korea. 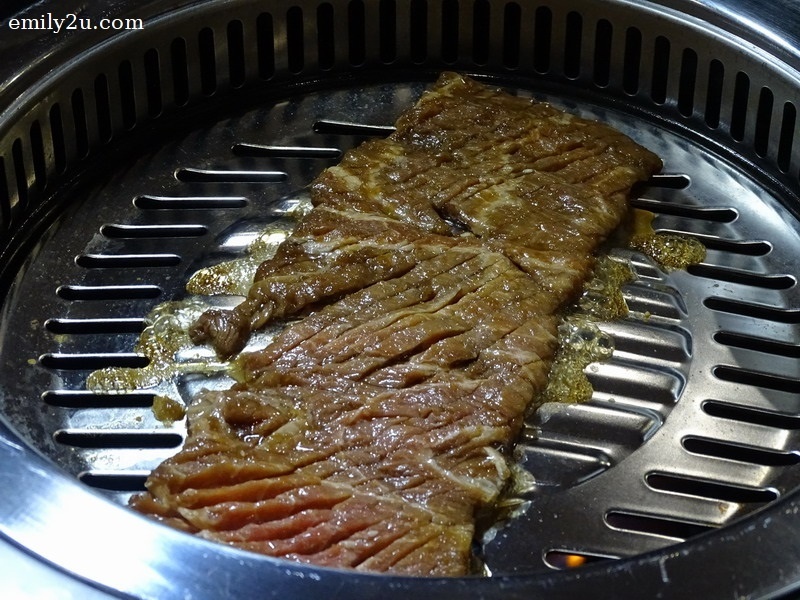 I love Korean BBQ, always so tasty and delicious. So mouthwatering, must be feeling so good to have such warm food at the chilly Genting. 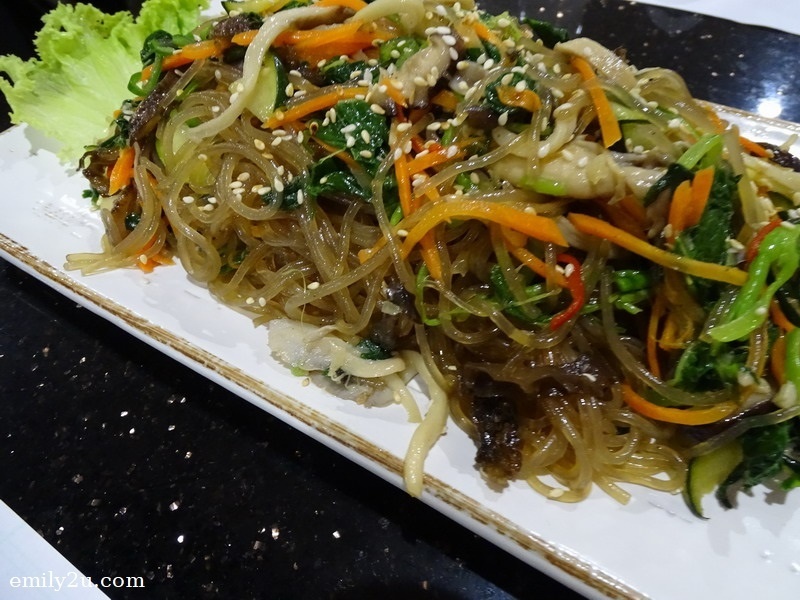 Korean food at Sky Avenue!! 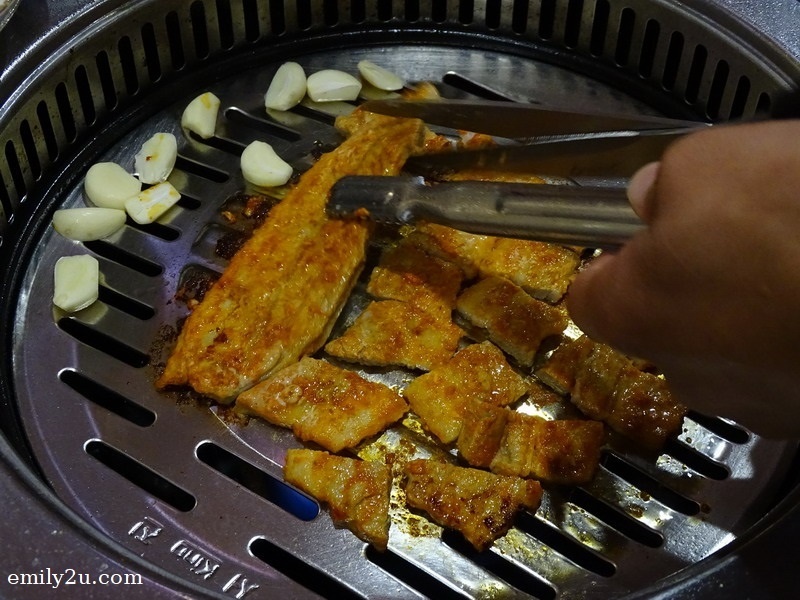 I would really myself very much though, with hot kimchi jigae and some BBQ food in the cold chill weather in Genting.